Leave a Comment / Customer Testimonials, Gift Basket Drop Shippers, Specials / By Kate I. “Merci beaucoup de votre service; une très belle présentation des fleures (très bel emballage) et une très jolie carte de voeux. Ma belle-mère était très heureuse. Leave a Comment / Customer Testimonials, Gift Basket Drop Shippers / By Kate I.
ARLINGTON, Mass.–(EON: Enhanced Online News)–With Christmas not even a calendar page away, Gift Baskets Overseas is helping make business owners’ dreams come true with its Gift Basket Reseller Program. 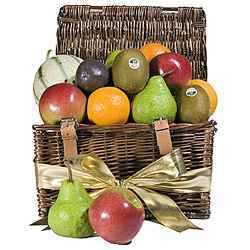 Gift Baskets Overseas allows business owners to become Gift Basket Drop Shippers and enjoy access to 20% discounts on every order, service to over 90 countries—with next-day-delivery in most of those, and 2-3 day delivery in the others—and over 1,500 appealing, high-quality, reasonably priced gifts to resell. Now, owners of small gift delivery companies—for instance those serving only the United States or Canada—can tap into the global market, increase profits, and significantly expand their inventory without hiring more employees, buying more warehouse space, or paying annual or monthly fees. “Response to the program has already been overwhelming!” says David Skol, Chief Gift Officer at Gift Baskets Overseas. “We’ve found a great deal of dedicated, hard-working re-sellers all over the world, and they’ve begun making good profits reselling our services—just in time for the holidays!” Resellers like the one managing both http://international.lasting-green.com and www.lasting-green.com are taking advantage of Gift Baskets Overseas’ option for creating a unique hosted website for international deliveries, in addition to adding Gift Baskets products to their already-established sites for their local area. As an added bonus, Resellers don’t have to buy, find, or make their own pictures of the available products, or create separate catalogs for each country of delivery. Unlike other competitors—who use generic images, so business owners don’t really know what they’re selling and customers don’t know what they’re buying—Gift Baskets Overseas’ catalogs are designed to showcase the unique sets of products available in each country, and every picture is an accurate reflection of the product for sale. In addition to offering superior catalogs, Gift Baskets Overseas offers deep discounts—20% off of every Reseller’s order—and encourages its Resellers to ensure a comfortable profit margin by determining their own prices. Gift Baskets Overseas has made becoming a part of the Reseller’s Program and beginning to drop ship gift baskets so easy that one could literally expand—or even begin—their business almost overnight: the easy application form should take less than five minutes, an email with the appropriate paperwork will usually arrive within 24 hours, and an account can be opened upon faxing the completed paperwork to Gift Baskets Overseas. Once the application process is complete, Resellers simply take the time to set up their unique, branded, international sales site—it’s easy to do, and they can create a site just as appealing as http://international.imagedecorgifts.com/ in a few short minutes. Just like that, they’re ready to take orders for Gift Baskets Overseas’ products, place those orders at a discount with Gift Baskets Overseas, and keep their potion of the sales’ profits. From that point on Gift Baskets Overseas takes over, packages the gifts, produces custom cards and messages, and ensures safe, timely delivery to the customer. Chief Gift Officer David Skol says, regarding the ease of the drop shipping program, “The state of our global economy demands that business owners come together to encourage healthy competition and to develop professional relationships—which leads to a stronger, safer market for all of us.” He continues, “There are so many gift delivery businesses that only serve one country; it’s difficult for them to expand, and they’re at risk of getting lost in the emerging economic environment. Our Reseller’s Program offers these business owners a simple way to take advantage of the exciting and unique opportunity to expand internationally quickly with very little overhead or risk. This program has the potential to change businesses—and lives—for the better.” Learn more about the program and apply to resell gift baskets internationally at http://resellers.giftbasketsoverseas.com. Gift Baskets Overseas is a BBB accredited company based in the United States that specializes in delivering superior quality gifts all over the world. 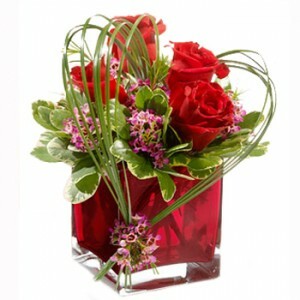 By maintaining professional relationships with established, local florists and gift delivery companies in each region, Gift Baskets Overseas has become renowned globally for its ability to provide online ordering convenience as well as multilingual customer service, and its dedication to providing secure payment options. Learn more about the company at www.giftbasketsoverseas.com.